Halifax Choral Society, which is celebrating its 200th year, recreates their first ever concert in this very special occasion at Victoria Theatre on Sunday 15 April, 6:30pm. 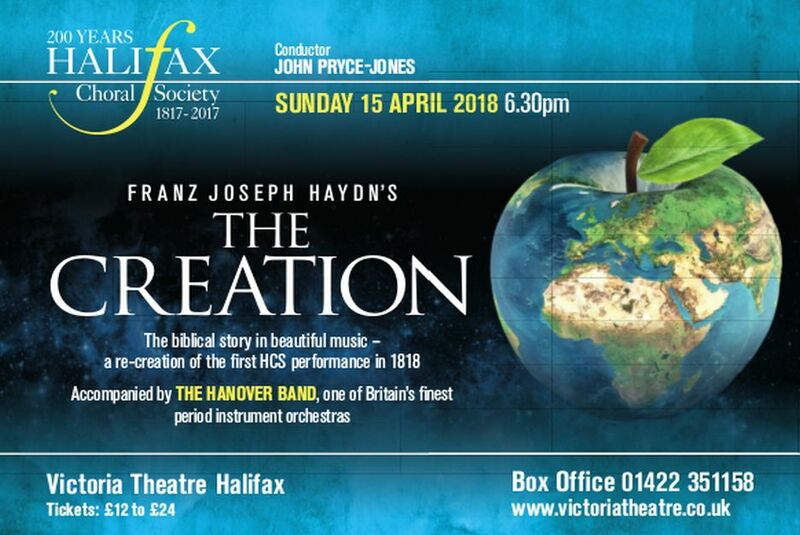 Back in February 1818, they performed Franz Joseph Haydn’s ‘The Creation’, telling the story of God’s creation, and are doing it all again in 2018! Conducted by John Pryce-Jones, this entrancing oratorio is not to be missed! Tickets from: £24.00 £17.00 £14.00 £12.00 can be booked online at the Victoria Theatre Box Office.